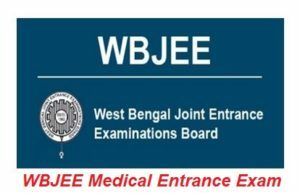 WBJEE Medical 2017: West Bengal Joint Entrance Exam Medical, Generally called as WBJEE Medical 2017 was charged on July 20, 2017, for admissions to 15% BDS and 85% MBBS seats in West Bengal State and Central Govt. Medical and Dental Colleges. West Bengal Joint Entrance Exam Medical 2017 Board organised annually State level Exam. Aspirants can analysis information related exam like application process, important dates, exam pattern, result and admit card, Counselling Process also. Examination Scheme of WBJEE Medical 2017 was declared by the exam processing Authority WBJEEB. The exam was held on 20 July 2017. Aspirants can click on the given link to see the Essential dates of the exam. Candidates who want to join in the Exam then before fill the application form they must see the following mandatory Eligibility Criteria. Aspirants must be at least 17 years age as on 31 Dec 2017. Applicants lived in West Bengal continuously minimum for 10 years. Applicants have 12th class passed with minimum 50% in PCB and For OBC 45% & for SC/ ST Minimum marks are 40%. West Bengal Joint Entrance Exam Board release the Application Form of WBJEE Medical 2017 accessible from 5 January 2017. Aspirants fill the Online exam and pay application fee through online or challan. Before fill, the Online Application Process read the notifications & Instructions carefully. Firstly, Aspirants visit the official site. Fill the personal details and system will generate a unique 7 digit numeric no. for the applicants. The applicants have ti select a password and keep it secret. Recent coloured passport size photo. Hall Ticket/ Admit Card, registration certificate/ Mark sheet of 10th class or DOB certificate. WBJEE Medical 2017 Application Fee: WBJEE Medical exam application fee is Rs. 500/- which can be paid via Allahabad Bank e-challan or Net Banking/ Debit Card/ Credit Card etc. The exam conducting authority of WBJEE Medical has released the Exam Pattern of WBJEE Medical 2017. The exam paper pattern helps aspirants to know the type of questions, syllabus, marking scheme, exam duration etc. Applicants who are joining for entrance exam are requested to see the under provide Exam Pattern. The exam is scheduled to be held on July 20, 2017. Paper 1st is of Biology will be held & time duration is 2 ½ Hours. Paper 2nd of physics and chemistry will be held same for 2 ½ Hours. The exam is divided into 2 papers. WBJEE Medical 2017 Syllabus: WBJEE Medical 2017 will be basrd on the syllabus as described by the exam conducting Authority, WBJEEB in the official brochure. Hall Ticket of WBJEE Medical 2017 was accessible to download from 6 July. Admit Card/ Hall Tickets not send by post or another mode. Aspirants had downloaded their Admit Card from Official site via individual application no. and password. Qualifying marks for general category aspirants is at least 50% and candidates belonging to SC/ ST/ OBC categories needs to score at least 40%. WBJEEE Medical Selection Procedure 2017: Aspirants who will certify to admission in MBBS and BDS Institute in West Bengal on the basis of their performance in the entrance exam. 85% admissions in Medical & Dental colleges of West Bengal will be done via WBJEE Medical Exam 2017 & the remaining 15% through AIPMT. Applicants who will be certified in the Medical entrance exam able to join in online counselling process of WBJEE Medical 2017. Seat allotment of MBBS and BDS in colleges in regards to preferences their ranks in WBJEE exam. For Unreserved category aspirants Counselling fee of is 2000 + Bank Charges and for reserved category candidate RS. 1500 + Bank Charges includes in it. Counselling will be conducted in 3 rounds. For any of the issues concerning the West Bengal Joint Entrance Exam Medical 2017, you are invited to ask us by commenting at the bottom of the post.